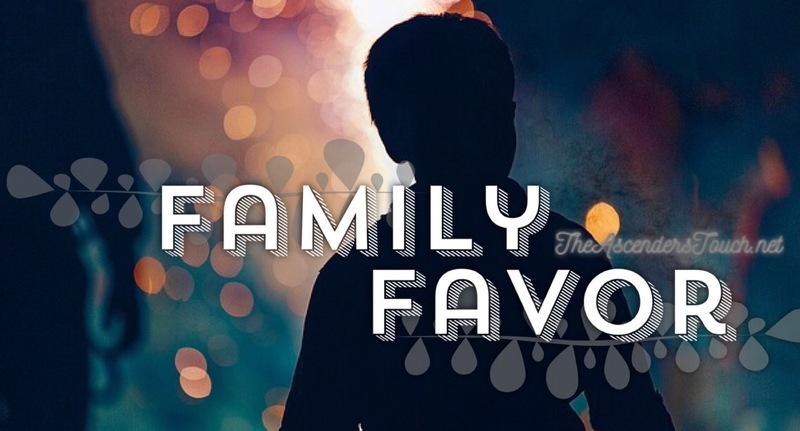 “God’s favor flows as naturally into our lives as a father’s favor flows into the lives of his children. (And He is the greatest picture of a father you could ever dream of or imagine.) God loves you. He considers you HIS kid, and that makes you a generational recipient of his blessing. Don’t feel like you need to apologize to people, or legitimize God’s goodness to those that may not understand or agree. There are always people waiting to criticize your victory or ignore your timely blessing, because they felt someone else was more deserving. In fact, if you’ve ever felt that someone doesn’t deserve a blessing they’ve received (hey, we’ve all been there . . .), you’re probably right! But here’s a sobering moment of truth for all of us: we cannot resent undeserved favor in someone else’s life if we’re going to welcome it in our own. Wow! I have been mediating on this devotional for about a week or so. I love the insight that is revealed about God’s favor. My earthly father was not always the best dad or husband to my mom during my youth; but God was/is faithful like no other. I have grown to accept all of the undeserved gifts that he bestows to me. Thanks to Jesus we have unlimited access to an unlimited, phenomenal heavenly father! I truly thank God for the smallest things in my life. It may sound “cliche” but it is simply the truth. We often overlook the numerous attributes of favor and blessings that God provides in our lives. I have noticed how a simple breath in the morning is undeserved favor given by the Lord. Sometimes I experience God’s favor at the times I least expect it. When I lend a helping hand to those who are going without, I somehow end up receiving something free at restaurants or cafe’s. I don’t purposely try to give JUST to receive. I do it because the Holy Spirit puts the motion onto my heart. I may not deserve the free gifts he gives, but I won’t reject it either. lol I will always need God’s merciful favor and love in my life. Posted in AscendersTouchTagged Bible, Church, devotional, family, favor, God, hope, Jesus, Joy, Joyce Meyer, Love, religion, spiritualityBookmark the permalink. My list would be exhaustingly long starting with every undeserved breath I am given. Haha Amen to that! Each moment we have is gratitude and favor from the Lord.